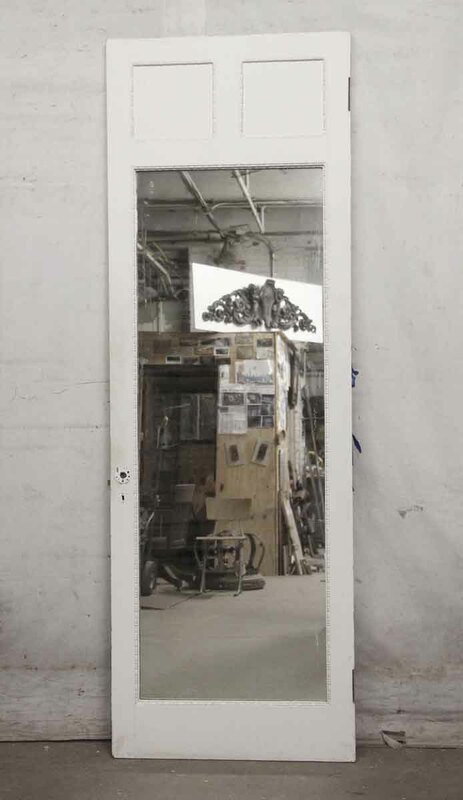 Painted white wooden door with four panels on one side and two panels on the opposite side with a large center mirror. Original mortise lock still attached. 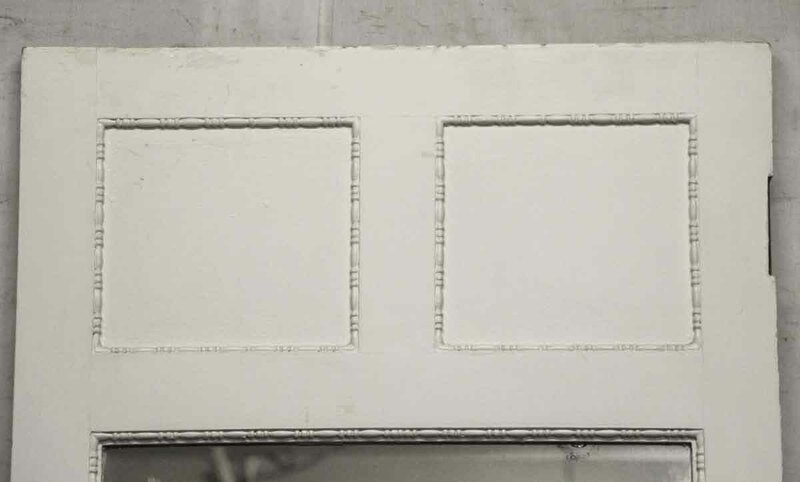 Panel decoration matches N256336 & N256346. One available.